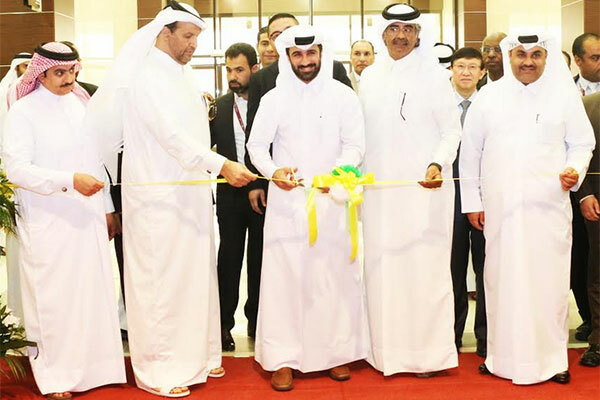 Al Meera Consumer Goods Company, a leading retail chain in Qatar, has announced the opening of its 49th store in Aba Al Heran, Qatar. The opening took place in the presence of Raed Al Khalaf, chairman and managing director at Al Raed Trading Co, Dr Mohammed Khalifa Al Kubaisi, head of Training and Management Development in The Awqaf Ministry and Qatar TV presenter Hassan al Saai alongside deputy CEO of Al Meera, Salah Ahmed Al-Hammadi, and a number of executives. Measuring 2,534.12 sq m, the shopping centre is designed to cater to the family shopping experience. It adheres to world-class standards at the service of consumer needs, and will provide the area’s residents with all their requirements under one roof; the mall was built in line with the Company’s objective of being the consumers’ ‘Favourite Neighbourhood Retailer’. Al-Meera Supermarket is equipped with modern interior designs and shelving installations, state-of-the-art technology and facilities, along with providing the most popular fresh sections.